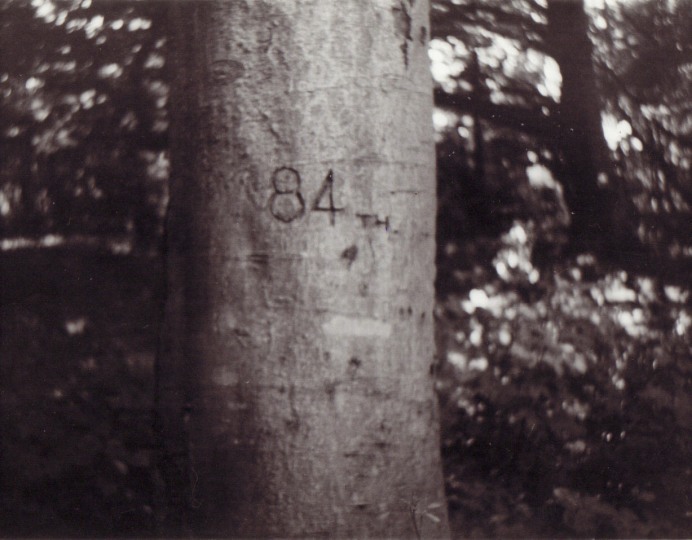 Home on Easter leave in 1957, in his native Sussex, Tony Beard climbed up into the South Downs above the town of Lewes to Coombe plantation (NGR: TQ390120) and, having carefully selected an appropriate elm tree, proceeded to carve some symbols in the trunk, the meaning of which was known only to him! 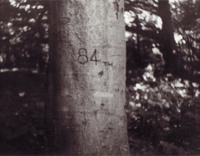 Some years later, his brother took a photograph of the same tree showing those symbols and reproduced at photo no 1 above. 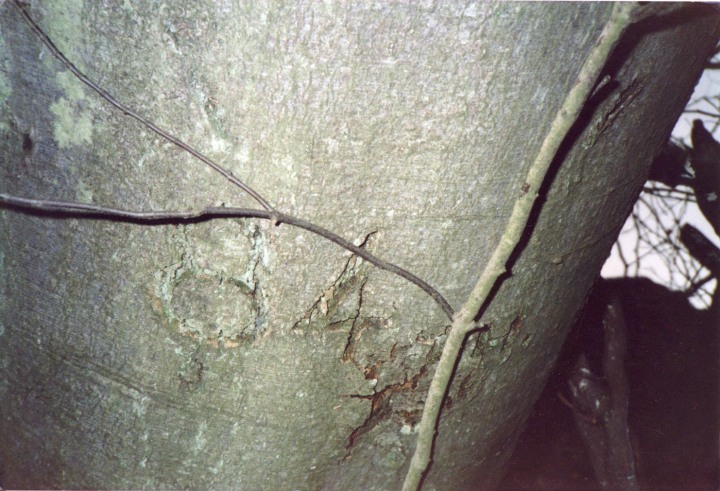 In 1990, the brother once again visited the plantation and witnessed the devastation caused by the "Great Storm" of 1987. 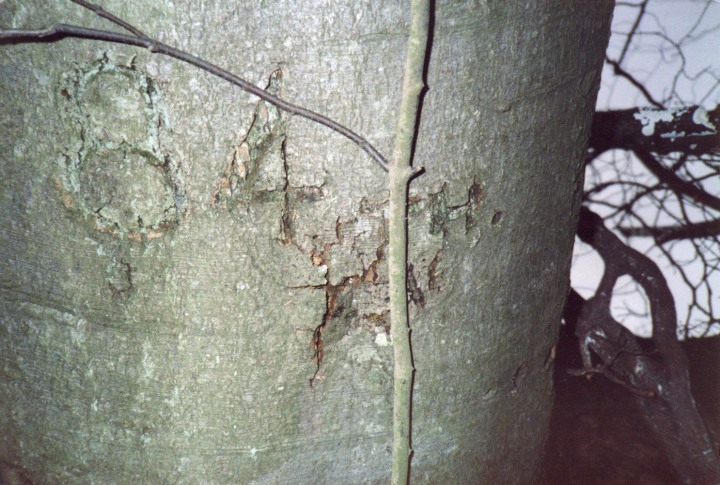 The tree was, sadly, one of the many destroyed by the storm but the symbols remained quite visible on the trunk, photos no 2 and 3, whilst at photo 4 the size of this once majestic tree is shown in all its fallen glory. 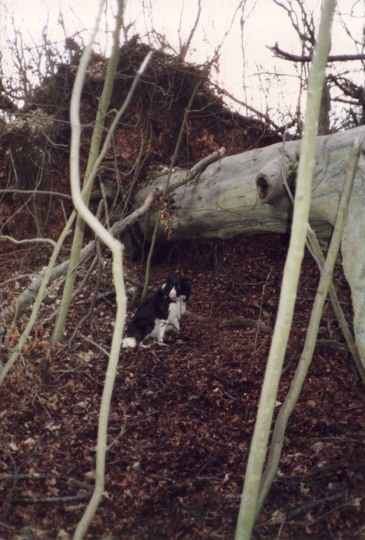 As far as is known, the tree remains in this spot today.